Voith and Funglesangs Subsea AS (FSubsea) signed a collaborative agreement to develop hydrodynamic variable speed drives for advanced subsea pump applications. Due to a Voith torque converter integrated in the pump on the sea floor, Variable Frequency Drives (VFDs) on topside will no longer be required for speed control. The system reduces CAPEX investments by up to 70 percent and saves several hundred tons of topside equipment, making subsea boosting economical already at an early stage. Furthermore, operators benefit from a reliable, simple and compact technology. Against the background of existing wells depleting as well as growing step out distances, subsea boosting is becoming increasingly important in offshore oil exploitation. However, topside modifications, complex electronics and extensive umbilicals are a bar to profitable and reliable operations. In order to tackle the existing limitations, Voith and FSubsea joint forces for a drive solution that provides enhanced performance and durability at a significantly reduced cost. 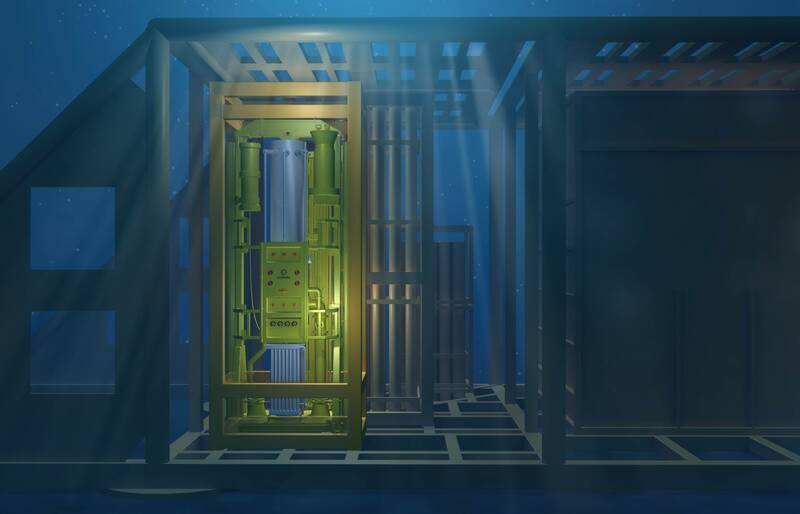 Today’s subsea boosting systems depend on a topside VFD with several hundred tons of weight and extensive module size. Integrating such technology on a platform or FPSO confronts operators with far-reaching challenges and costs. 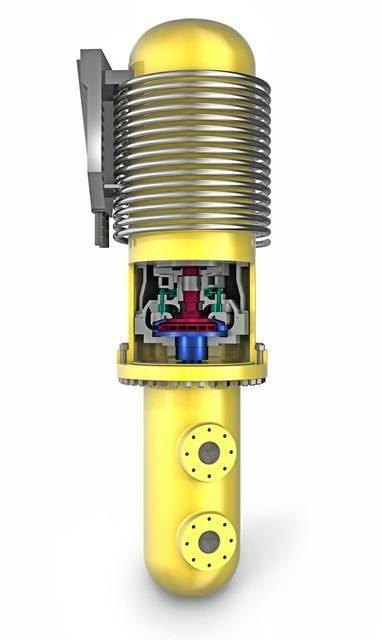 In contrast, the solution developed by Voith and FSubsea aims on the integration of a torque converter (mechanical variable speed device) in the pump unit based on the sea floor. Combined with the Hydromag technology which provides a hermetic pressure barrier between the process and the motor cooling fluid, this allows to completely omit any barrier fluid system and electrical control units. The novel pump drive and coupling system convinces with its self-sufficient design. No topside facilities, sea floor based auxiliary pumps, hydraulic fluid connections and signaling cables will be required for subsea boosting. Thus, it reduces CAPEX as well as OPEX costs by up to 70 percent while simplifying the whole setup. As the system is independent of any umbilicals besides electric power it paves the way for profitable long step outs far beyond current possibilities. For an increased oil recovery rate in brownfield and greenfield operations, solely an additional motor starter is required on existing platforms and FPSOs to enable them for subsea boosting application.